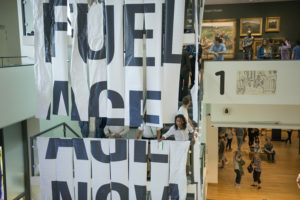 ‘If it is wrong to wreck the climate, then is wrong to accept money from those who wreck the climate’. 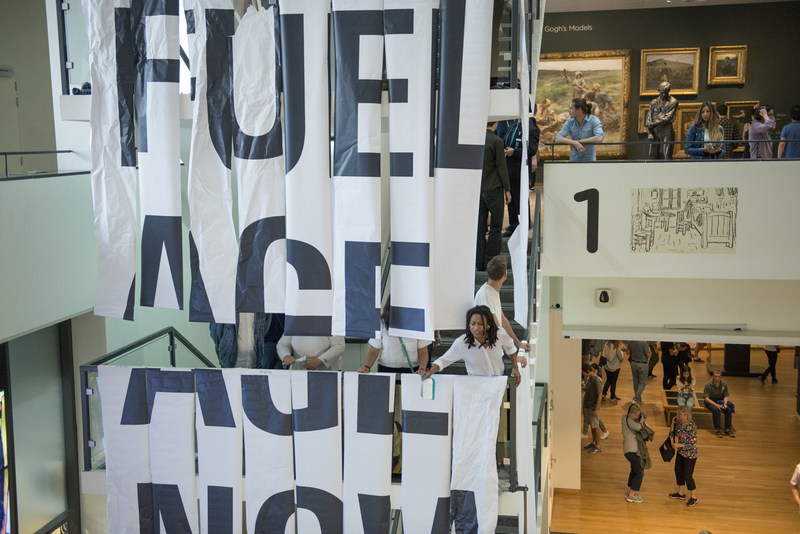 This is the message behind the biggest and boldest performance to date, of the artist collective Fossil Free Culture NL in the Van Gogh Museum. 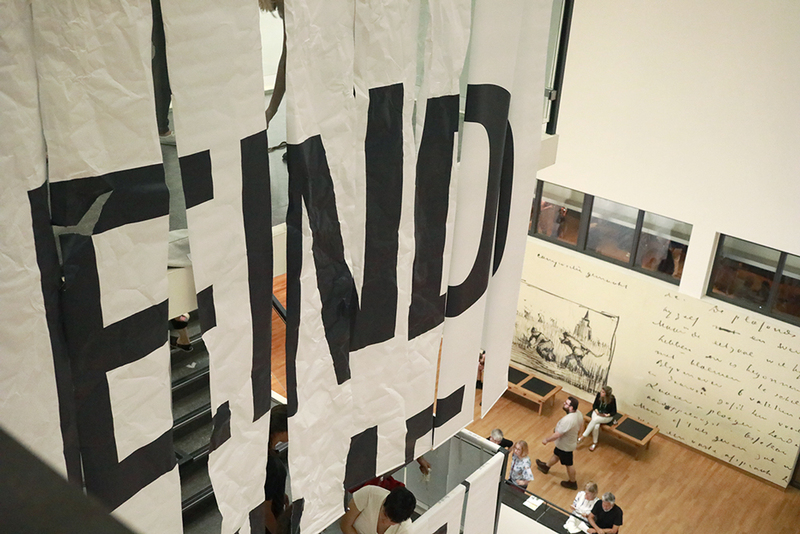 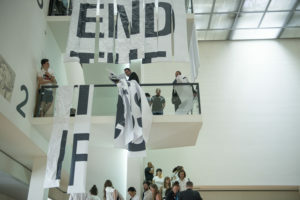 The artists hung a 12-meter high text installation that read “End of fossil fuel age now”, urging the museum to cut their ties with Shell. 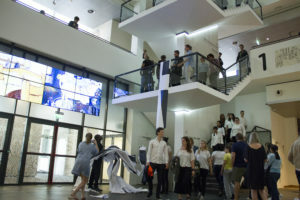 The collective also presented its manifesto, which is an appeal to all cultural institutions in the Netherlands that accept money from the fossil industry to immediately break the ties with them. 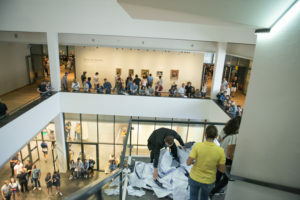 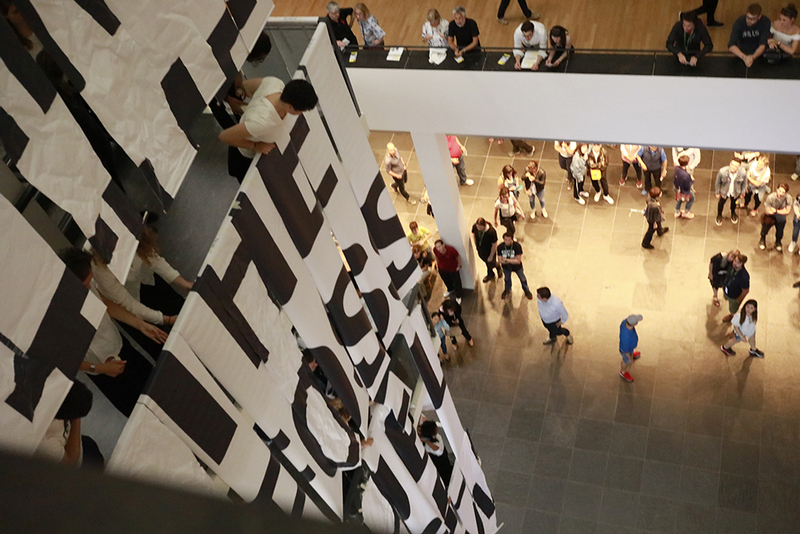 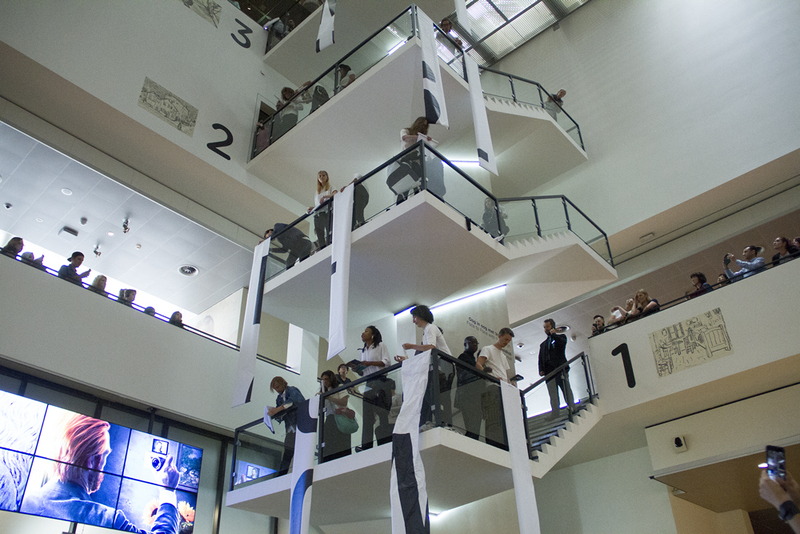 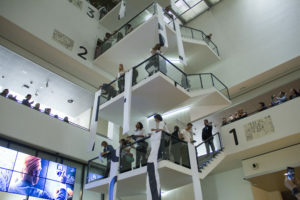 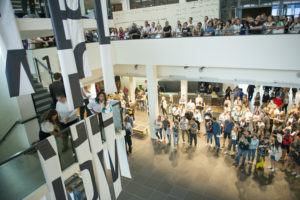 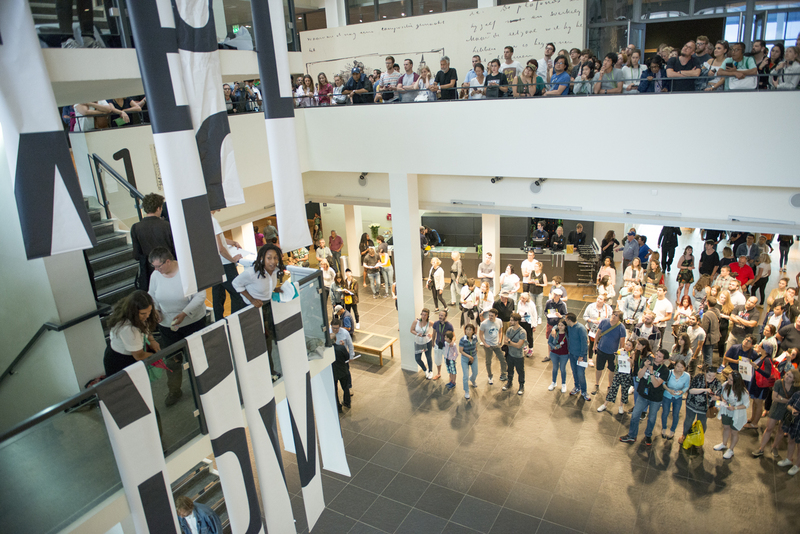 Around 14:00 one of the approximately 40 performers of Fossil Free Culture NL took the floor on the monumental staircase of the Van Gogh Museum’s main building. 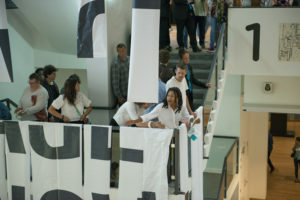 While she was reciting the manifest, other performers had long paper banners hanging down from the balustrades one by one. 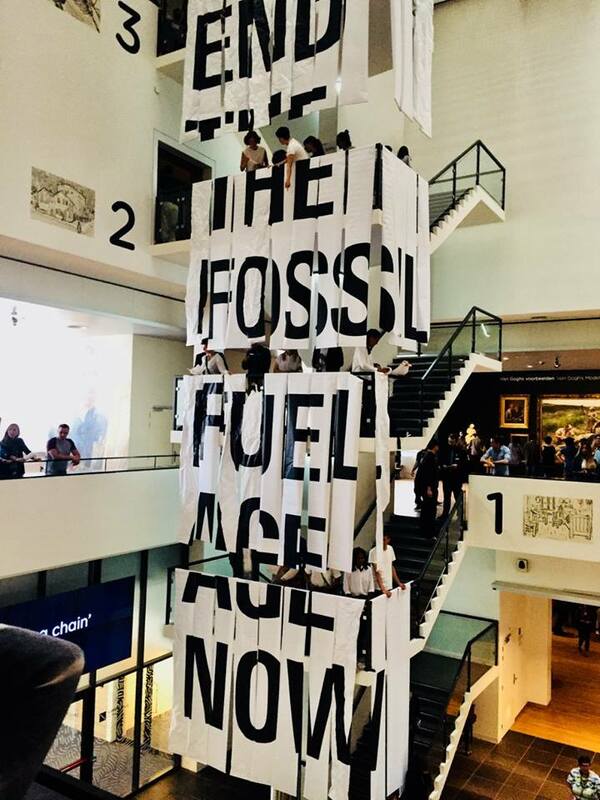 Only after the declamation of the manifesto finished, the text was legible: END THE FOSSIL FUEL AGE NOW. 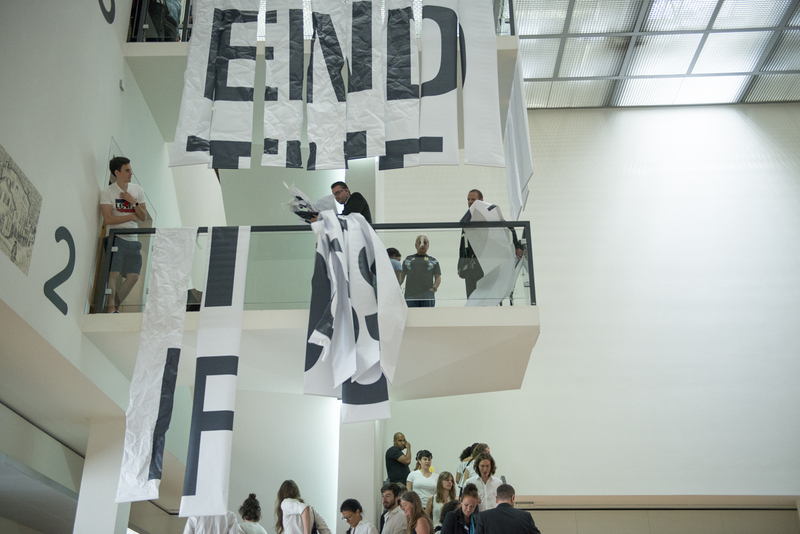 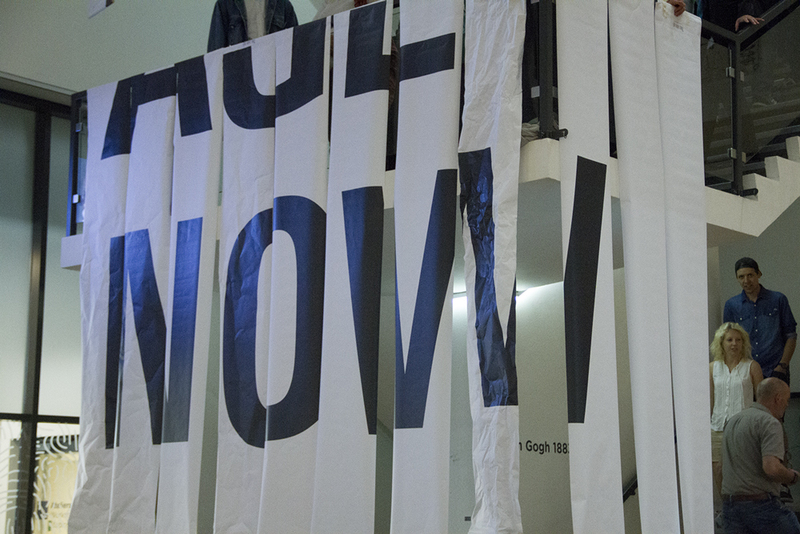 The typographic work of artists such as Barbara Kruger and Jenny Holzer inspired the presentation of the manifesto. Fossil Free Culture NL artists combined this with the ‘banner-drop’ tactic frequently used by activists. This spring, Fossil Free Culture NL created an ‘Art Storm’ – delivering three new performances in six weeks. 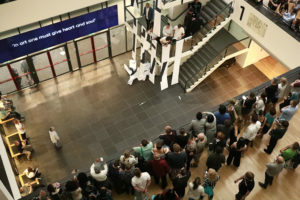 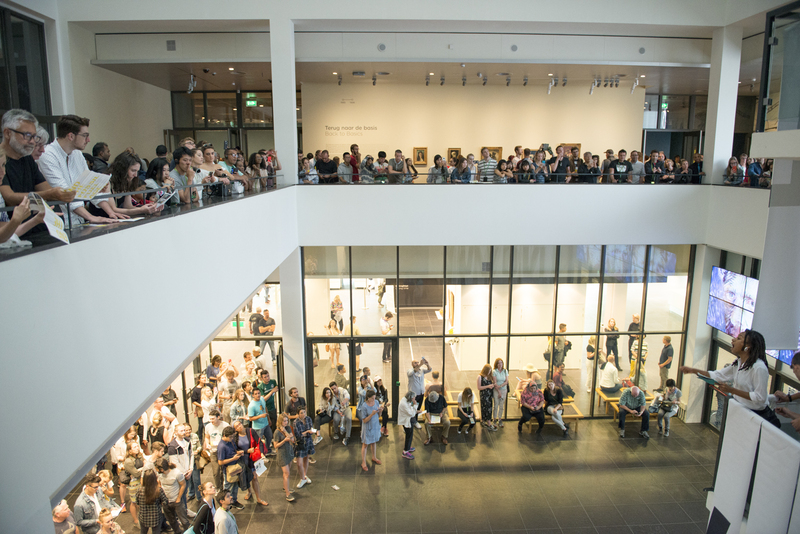 “We organised this Art Storm to demonstrate our commitment and capacity to keep bringing beautiful trouble to the Van Gogh Museum until they cut ties with Shell,” says Maria Rietbergen. 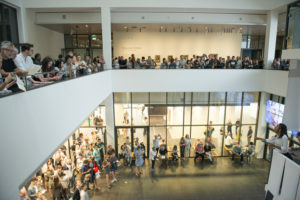 Many other cities in the world have used these tactics in other art institutions with positive divestments, such as in London, Paris and New York.